Hi, Connie here with you today. Mother's Day is fast approaching and I have a gift idea for you. I am using this for a candle ring but you could also use it for a small wreath too, I will share that later. 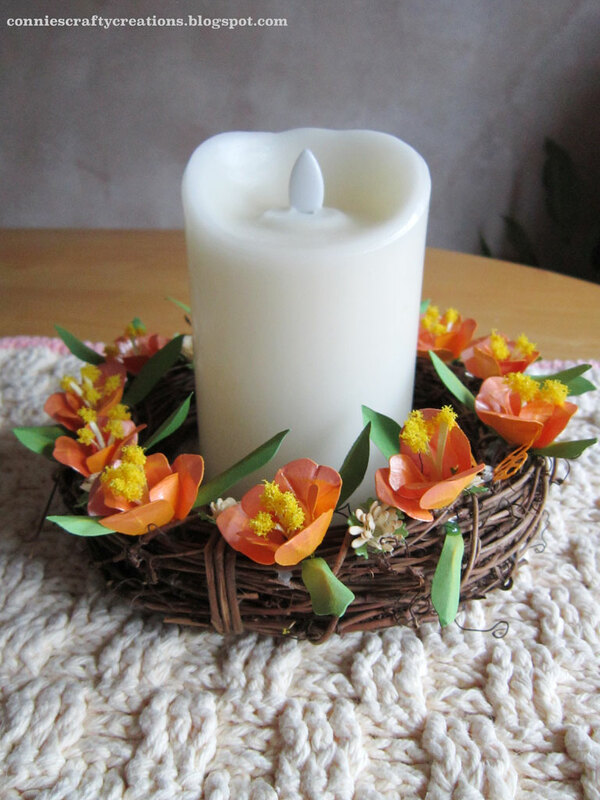 Here it is with the candle. 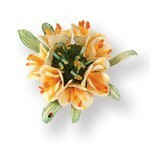 I started out with the Sizzix Flower Clivia die. I used yellow cardstock and added Viva Inka gold in the color Apricot to the tips of the leaves as shown in the picture. I used a makeup sponge to apply the Inka gold because you are not to touch it with your fingers you can contaminate it and it will go bad on you. You can also see that I did a bit of shaping of the petals with my McGill stylus set, I used the 3mm end and the mat they also sell. 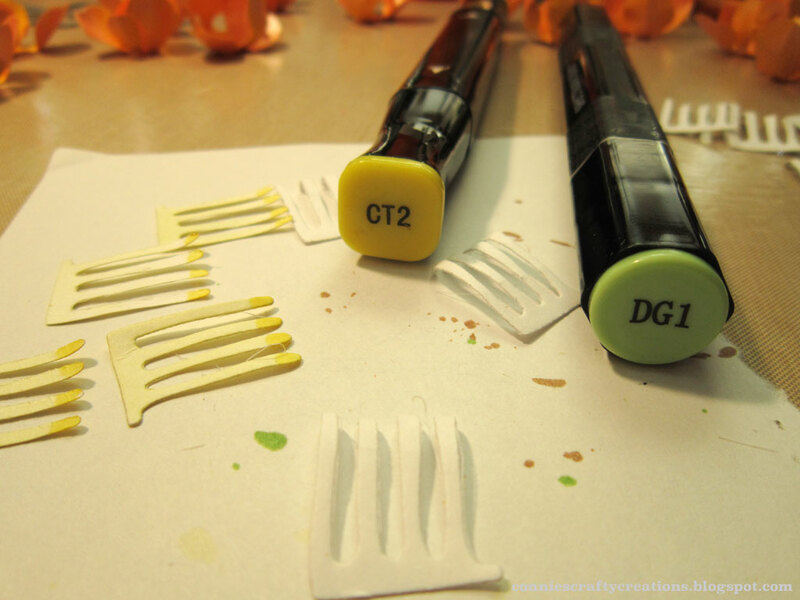 Next I cut the stamens out of white card stock and colored the bases and the tips with two different colors. after rolling them up, I glued some Sunshine yellow flower soft to the petals by dipping into my craft glue and then dipping into a bowl of the flower soft and shaking off any extra. I wanted some smaller flowers to go with the set so I chose Impression Obsession Spiral flowers dies this is the smaller set they also have the set in Large too :) after cutting out in cream cardstock I added a bit of Tea Dye distress ink to the tips of the flowers, then using a Quilling tool, but you could use tweezers, I rolled the flowers and glued them together with glossy accents, that glue seems to dry quickly of all the wet glues and it doesn't burn your fingers like hot glue would. 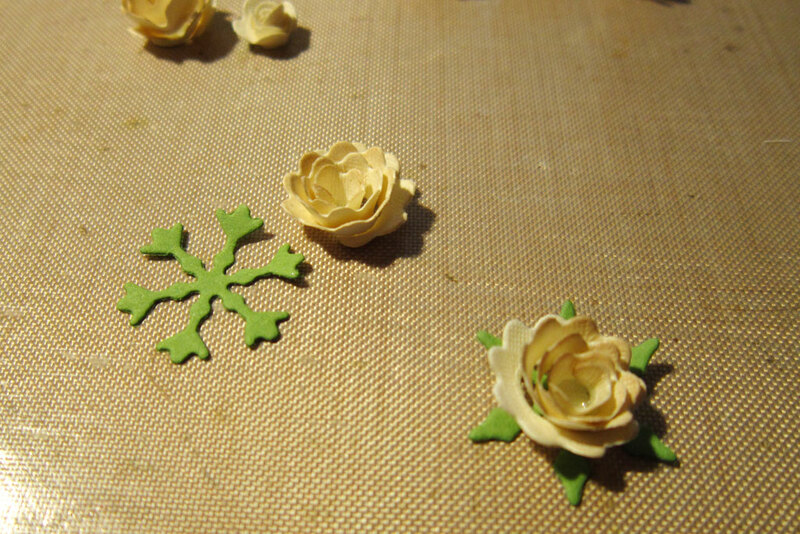 I wanted a little bit of green under the flowers but all my leaf dies were too big in comparison to how small these flowers are so I started looking for what else I could use and I came upon my Poppystamps Valley Snowflakes dies that were just the right size. 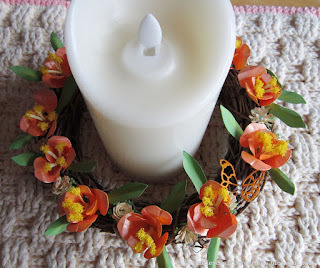 Before gluing on the Clivia flowers using a Hot Glue Gun, I laid them all out around the wreath to get an idea of where I wanted them. 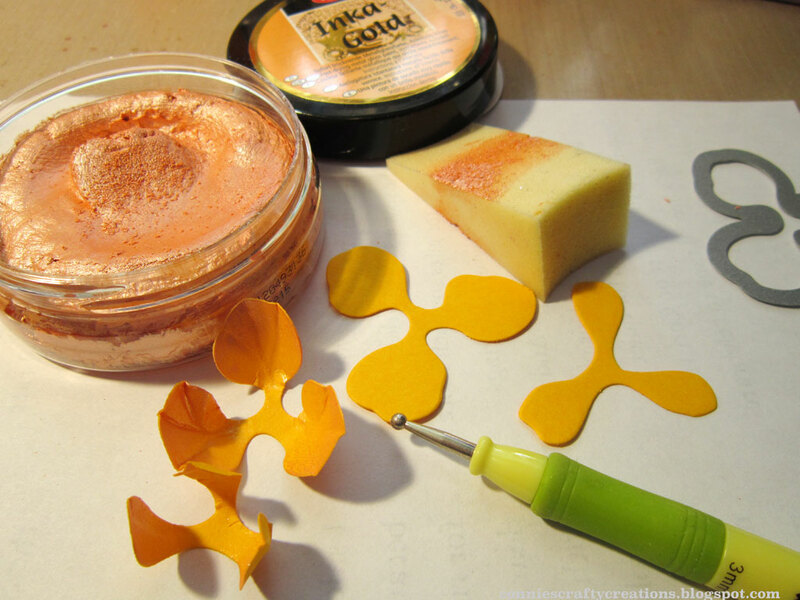 In the process of gluing them on I had a bit of a hole left and instead of making another flower I decided to add a Memory Box Leavenworth Butterfly trio die and I just love the look and was happy for the mistake!! Here is a top view of the ring. Closeup, you can see a little better in this photo that I bent the leaves a bit for the Clivia flowers and added a bit of chalk to the centers of the leaves. 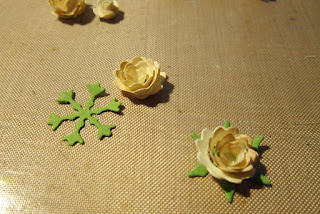 There are directions inside the die set with pictures of how to put the flowers together. I promised you a picture of how it would look if you would like it for a wreath instead. 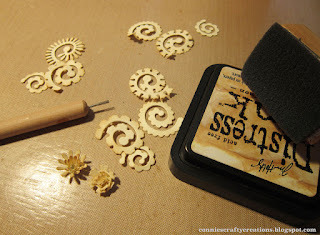 My tip for today is if you don't have a die that will work in your project like I didn't have the kind of leaves I wanted for my smaller flowers look for dies to use that are meant to be used in a different way, you can even cut apart pieces that you have die cut and just use portions of a die cut. 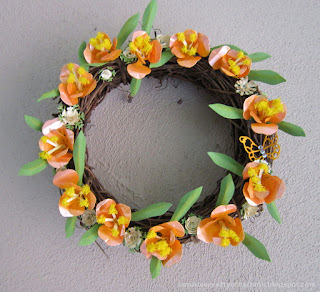 The Grapevine wreath measures 6 1/4 and I found mine at Hobby Lobby but I am sure you can find one at any craft store. I also used gems on the butterfly. Here are the dies I used, all the links are above in the description. Dies R Us is also on Pinterest now! Don't forget to check out the Challenge blog to have the chance to win a certificate to get some dies from the store! Thanks so much for stopping in today! 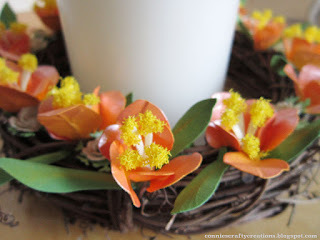 LOVE how you made your beautiful wreath topped with gorgeous flowers! Very clever and any Mom, including this one, would adore this fabulous gift! Fantastic! 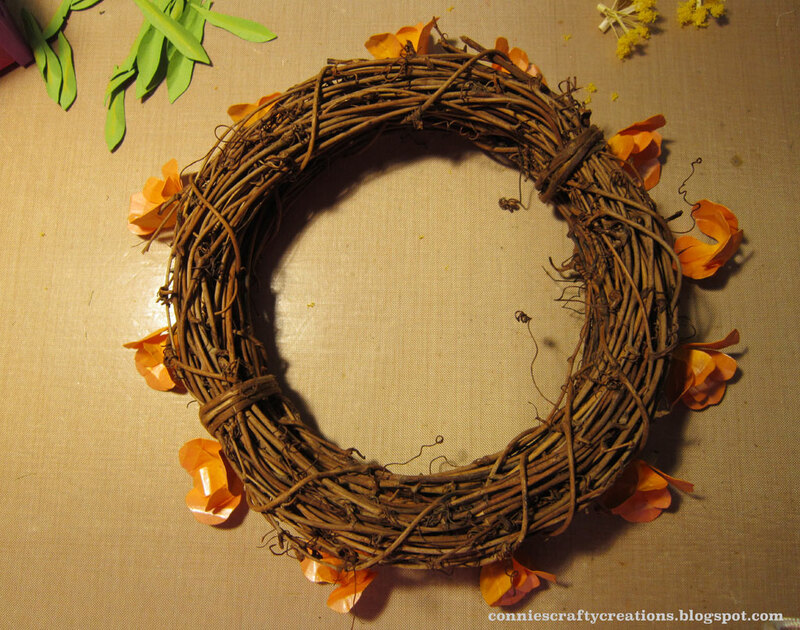 What a beautiful wreath you've created! Those flowers came out gorgeous~ I really love them with the flower soft. I really must find some! This makes such a great gift idea!! Your wreath is beautiful Connie, a perfect gift for anyone, any time of the year. Great tutorial too, thank you. 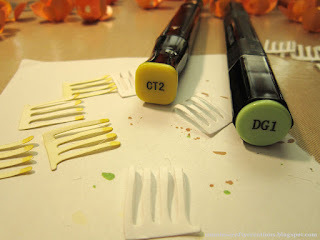 What a great 3D project using dies..........I'm always looking for other ways to use dies than on cards and scrapbooking, so thank you for sharing this idea. It is so springy looking with the colors you used.